This is my tier list for SSBC 0.9.2. No, this is not the official tier list (I'm sure they're working on it). 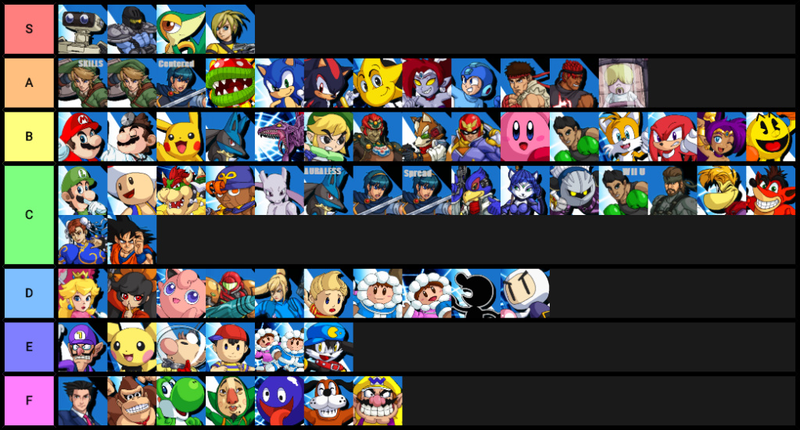 But whatever you do, THIS IS MY TIER LIST. I HATE being replied by people who disagree with this list. I promise to explain this list to you, but for now, share your opinions about this list! "I hate it when people disagree with me!" One or the other, kid. B. Share your thoughts! Sheesh. If you have to explain you aren't a kid with your age, you're still a kid. And why should I share my thoughts when you said you hate it when people disagree with you? You're looking for an excuse to get pissy with someone else. Screw that. Okay fine!! All opinions matter in this thread. I'm just a new person here. I have feelings you know! Just be nice to a rookie for once! Now share your opinions about this dumb tier list I made. Someone lock this topic. ill show you klonoa's true power!